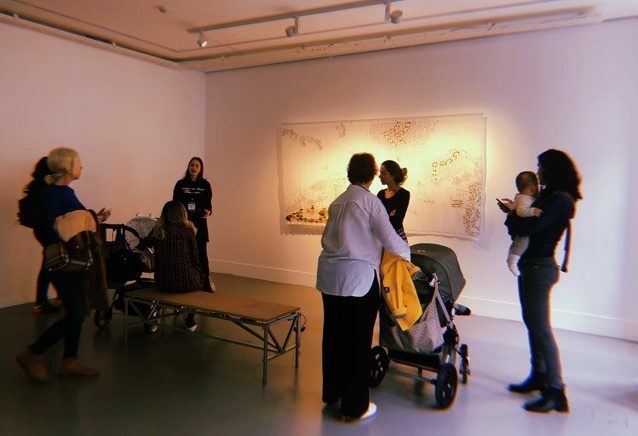 With BvLF’s support, guides at the 4th Istanbul Design Biennial have been trained in welcoming young children and families, and special events are being held for mothers with babies under 12 months (pictured). A children’s book, designed for the event by Yekta Kopan and Burcu Ural Kopan and illustrated by Ada Tuncer, UZUN, KOCAMAN, ÇOK! (“LONG, BIG, A LOT!”), introduces children to design ideas and measurement using games based around spaghetti. See children engaging with the book on this video on Yekta Kopan’s Instagram. The 4th Istanbul Design Biennial is taking place until November. 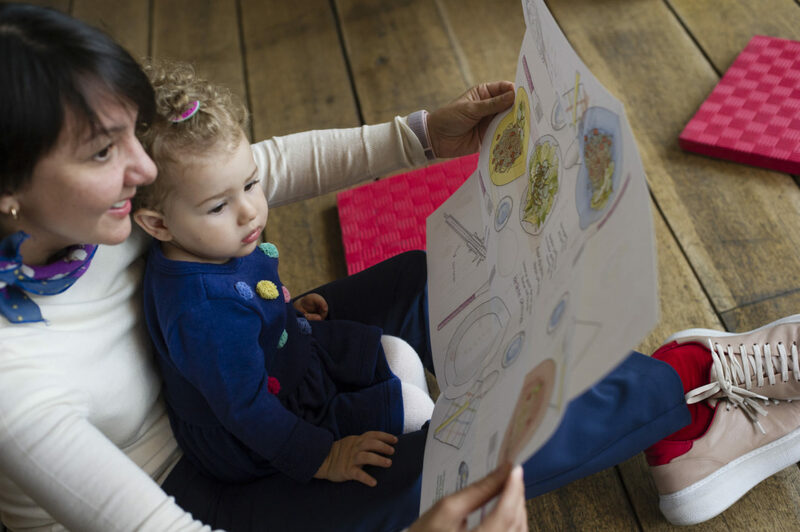 It is organised by the Istanbul Foundation for Culture and Arts (IKSV), which is mainstreaming babies, toddlers and their caregivers in all its events with our backing. As a launch of the project all staff at IKSV have attended a seminar on child development from Boğaziçi University. See more coverage (in Turkish) in media outlets including Cumhuriyet, T24, Artful Living, Bianet and Interpress.